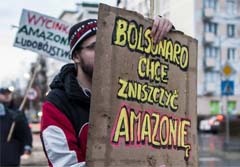 Jair Bolsonaro ist in Polen "persona non grata" ... wenigstens für ein breites Bündnis von Umwelt- und Sozialorganisationen, welches eine Einladung des neuen brasilianischen Präsidenten durch Polens Staatsoberhaupt Andrzej Duda ablehnt. Die AktivistInnen kündigen in einem Schreiben an ihr Staatsoberhaupt für einen etwaigen Besuch Bolsonaros, der erklärtermaßen dem Regenwald an den Kragen will, massive Proteste an. Darüberhinaus erinnern die Organisationen die brasilianische Regierung in einem Offenen Brief an den brasilianischen Botschafter in Polen, Alfredo Leoni, an ihre Verantwortung für die Erhaltung des Regenwalds. wirtschaftliche und politische Sanktionen der EU gegenüber Brasilien, sollte Brasilien seine internationalen Verpflichtungen (RAMSAR, CITES etc.) zum Schutz der Wälder nicht einhalten. Das Bündnis hat aus Solidarität am Schlußtag des Rio-Karnevals zum "Karneval für Amazonien" ins Nationalstadium in Warschau eingeladen. 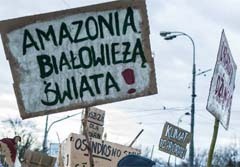 Die Veranstaltung sollte der polnischen Öffentlichkeit die Bedeutung des amazonischen Regenwaldes und die enge Verbindung zu ihm ins Bewußtsein rufen und darauf hinweisen, dass der Amazonasregenwald insbesondere wegen der Ankündigungen des brasilianischen Präsidenten Jair Bolsonaro, den Zugang zu Schutzgebieten zu erleichtern, wieder mehr und mehr unter Druck gerät. 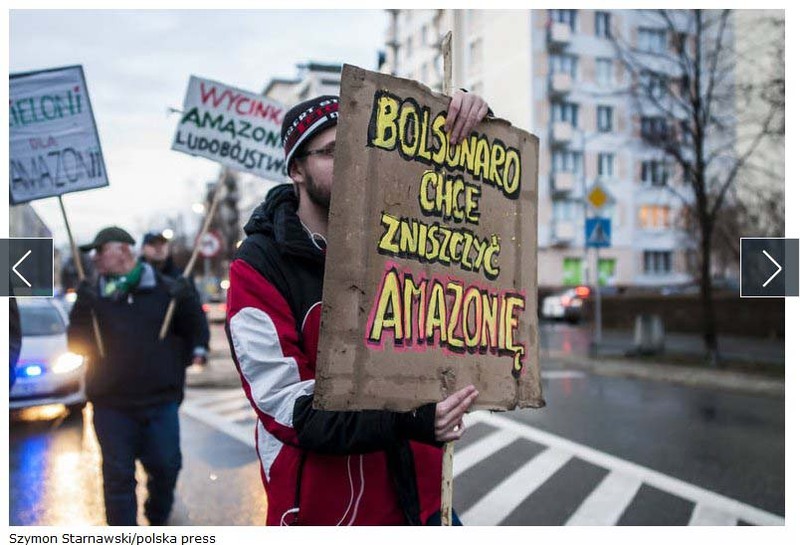 On behalf of various Polish ecological and climate organisations and movements, we wish - through your mediation - to call on the President of Brazil, Jair Bolsonaro, to renounce his policies enabling the mass logging and destruction of the Amazon Rainforest, as announced by the President during his election campaign. The Amazon is the largest tropical rainforest in the world, extremely important for the Earth's climate. Scientists warn that the tipping point for the degradation of the hydrological cycle caused by deforestation could occur soon. They state that with a deforestation level of about 20-25% of the Amazon, the amount of rainfall would decrease significantly and the dry season would be extended in the central, southern and eastern Amazon region, which would lead to the Amazon rainforest drying up and being replaced by a savannah-type landscape (Amazon Tipping Point). Brazil holds the infamous first place in terms of tropical forest deforestation - 385 000 km2 disappeared between 1982 and 2016, i.e. 8% of its surface (Tropical deforestation Brazil). Scientists also claim that the transformation of tropical rainforests from natural ones to ones modified by humans has serious consequences for carbon dioxide storage and the protection of biological diversity on a planetary scale. Thus, not only Brazilians but the inhabitants of the entire globe are the victims of these irresponsible political activities in Brazil. Aside from direct losses, unsustainable logging and uncontrolled dismemberment of tropical rainforest surfaces increase the probability of fires, which constitute an additional threat to the climate. 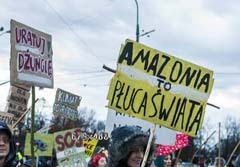 We are also alarmed by the atmosphere of consent to violence or even murders targeted at indigenous activists and inhabitants defending their rights to the lands and protecting the Amazon Rainforest from being plundered and logged by cattle farmers, soya producers or producers of charcoal for the needs of steel mills and the wood industry. In 2017 alone, 57 activists were killed in Brazil for protesting against logging in the rainforest, while this year further murders have already been recorded (Activists killed in Brazil). To ensure the effective and full protection of primordial forests, an indicator of which should be the preservation of an unreduced surface of the rainforests and the undeteriorated state of the thus far untouched areas. To revoke the Ministry of Agriculture's right to delimit indigenous territory borders. To refrain from all mining activities in primordial forests. To reinstate the competences of the Governmental Agency for Indians (FUNAI); the institution should once again be subordinated to the Ministry of Justice and guaranteed full political independence. To ensure equal human rights be afforded to quilombos, indigenous peoples and to families living off the rainforest without destroying it. To actively and effectively combat illegal logging and that only feigned as legal, conducted by wood traders to enable industrial cattle breeding, large-scale soya cultivation or the production of charcoal for the steel industry. 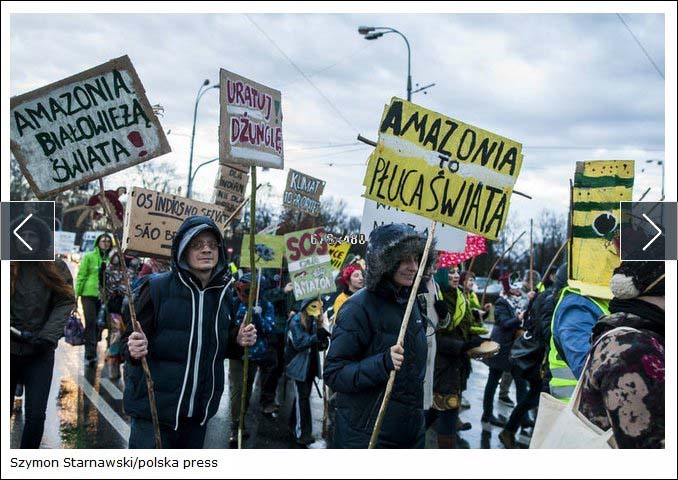 To ensure full transparency and access to information for consumers, so that they can boycott products, the production of which involves the cutting down of the Amazon Rainforest. To abandon the construction of a road through the middle of the Amazon Rainforest. To guarantee all the inhabitants of Brazil the appropriate human rights, counteracting in particular the intimidation and numerous murders of local activists defending the Amazon Rainforest from logging, as well as to provide severe punishment to the perpetrators and those commissioning the murders. 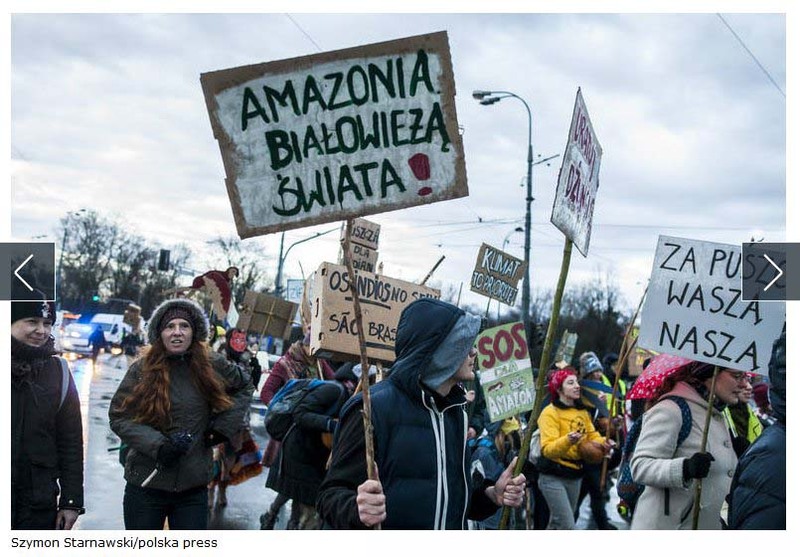 To promote changes in Brazilian culture - aimed at abandoning the prioritisation of large-scale industrial agrobusiness above nature conservation and all other economic and social goals. We believe the realisation of the above postulates will make it easier to introduce ground-breaking international compensation tools, such as REDD+, which will be beneficial for Brazil and will contribute to improving Brazil's reputation on the internationally. We kindly ask Your Excellency to convey our entreaty to the President of Brazil.